Disney Princesses Photos, News, and Videos | Just Jared Jr.
A brand-new sneak peek of Wreck-It Ralph 2: Ralph Breaks the Internet is here! 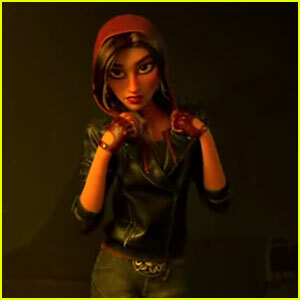 Walt Disney Animation Studios dropped the new clip on Friday (August 10). It introduces Gal Gadot as the voice of Shank, the tough and talented driver in an intense online racing game called Slaughter Race. Ralph (John C. Reilly) and Vanellope (Sarah Silverman) encounter Shank when they venture into the internet in search of a replacement part for Vanellope’s game, Sugar Rush. Shank’s approach to racing—and life in general—opens Vanellope’s eyes to the limitless possibilities of the internet and the excitement of a new world that feels like home to her. Plus, it features new footage of the Disney princesses. Watch below, and don’t miss Ralph Breaks the Internet when it hits theaters on November 21! Vanellope Teaches Disney Princesses To Embrace Comfy Clothes in New 'Wreck-It Ralph' 2 Pic! 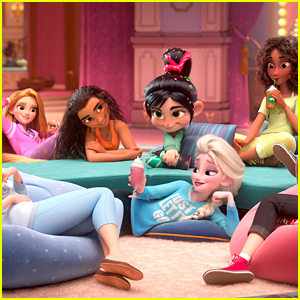 Vanellope is making major strides with the Disney Princesses in this brand new pic from Wreck-It Ralph 2: Ralph Breaks the Internet. 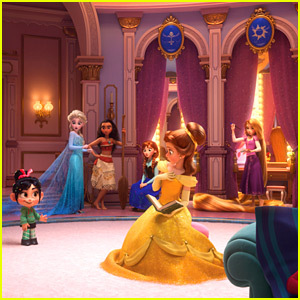 Debuted on EW, the new pic shows Vanellope von Schweetz surrounded by Cinderella, Moana, Rapunzel, Snow White, Pocahontas, Ariel, Anna, Elsa, Mulan and Tiana (with her natural hair!) in the comfiest of clothes. The conversations between the Princesses are actually about everything! “The princesses and Vanellope learn a lot from each other, but what happens in that discussion is acknowledging the…I don’t want to say just blatant sexism, but the kind of dated, antiquated idea of princesses and bringing it up to a feminist — meaning equal — code,” Sarah adds. A brand new character was also just announced for the film too. Get all the details on our brother site, JustJared.com! Wreck-It Ralph 2: Ralph Breaks the Internet opens on November 21st. Vanellope Meets All The Disney Princesses in First Pic From 'Wreck-It Ralph 2'! Vanellope von Schweetz finally meets the Disney Princesses! The first pic of this epic meeting debuted today (via USA Today) and the expressions on the official Disney Princess lineup is priceless! In the clip from Wreck-It Ralph of this moment, which was presented at the 2017 D23 expo, Ralph and Vanellope find themselves transported to the most magical place on the internet: OhMyDisney.com, where Vanellope decides to sneak into a dressing room full of Disney Princesses – to mess with them. When the Princesses discover the tiny intruder, they prepare to attack. Mulan pulls out her sword, Merida grabs her bow, and Cinderella turns her glass slipper into a shiv. In order to save her skin, Vanellope tells the Princesses that she, too, is a Princess — which she is! The Princesses (and their original voice actresses) will return for the film: Frozen‘s Anna (Kristen Bell) and Elsa (Idina Menzel), Tangled‘s Rapunzel (Mandy Moore), Brave‘s Merida (Kelly MacDonald), The Princess and the Frog‘s Tiana (Anika Noni Rose), Pocahontas (Irene Bedard), Aladdin‘s Jasmine (Linda Larkin), Mulan (Ming-Na Wen), Beauty and the Beast‘s Belle (Paige O’Hara), and The Little Mermaid‘s Ariel (Jodi Benson). Wreck-It Ralph: Ralph Breaks The Internet hits theaters in November. 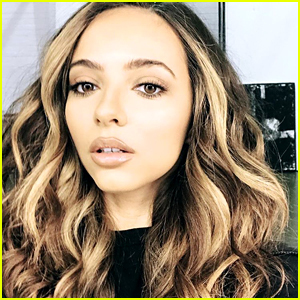 Becoming a Disney Princess is easy — just ask Jade Thirlwall, who became a different princess each time she went to Starbucks at Disney World. The Little Mix singer gave the global coffee chain a different Disney Princess name each time she stopped in and it actually worked. “Trying to convinces Starbucks, I’m a Disney Princess like…” Jade started out on her Instagram stories before showing fans her cups labeled with Frozen‘s Elsa, Princess and the Frog‘s Tiana, Beauty and the Beast‘s Belle and Aladdin‘s Jasmine. Jade also tried Esmeralda from The Hunchback of Notre Dame, too. Check out all her cups below! 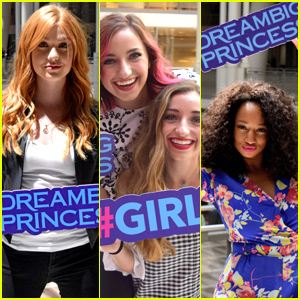 Katherine McNamara, Monique Coleman and Brooklyn & Bailey hold up signs around them, celebrating the new Dream Big Princess campaign. If you’ve watched Disney Channel, you’ve probably seen bits and pieces of the campaign, which celebrates inspiring stories from around the world to encourage kids everywhere to dream big. To celebrate the campaign even more, Disney worked with 19 female photographers from around the world to create a series of empowering images showcasing real-world girls and women, as part of the initiative and taps into the power of Disney Princess stories to inspire kids. The photographs shared online will go on to help raise funds for Girl Up. From now until October 11th, Disney Worldwide Services will donate US $1 for any public post of a photo using #DreamBigPrincess or like of such a post on Facebook, Instagram, or Twitter, for a minimum donation of US $500,000 and a maximum of US $1 million. JJJ spoke to two of the photographers — Cristina Mittermeier and Kate Parker — about their own photographs in the collection. Her role model? Belle, of course.